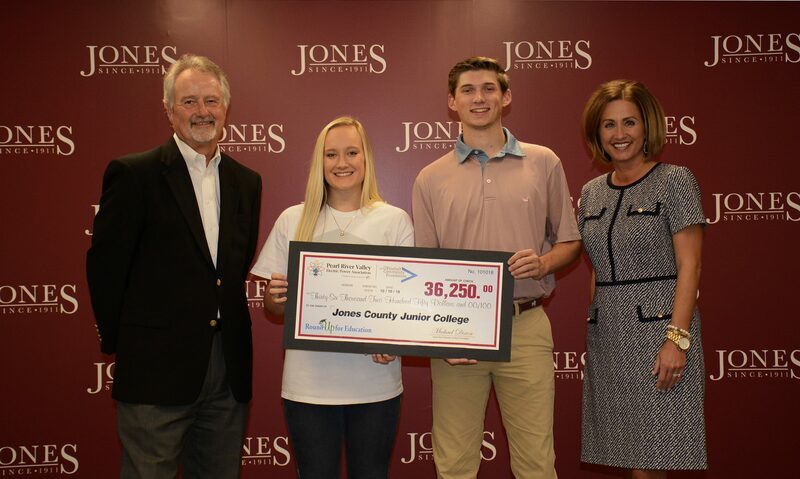 ELLISVILLE – Since the inception of the, “Round Up for Education” Scholarship program through Pearl River Valley Electric Power Association, more than 1,250 students in the region received scholarships to a Mississippi Community/Junior College. This year, a total of 250 students from throughout the PRVEPA’s 12-county service area received a $725 scholarship, including 50 Jones College students. These freshmen college students are benefitting from the electric service provider’s Association member-consumers who round up their bills to fund the scholarships. Jones nursing major, Katelyn Toney said she’s very grateful for the scholarship. With divorced parents, receiving a financial boost from PRVEPA’s members is a huge relief. 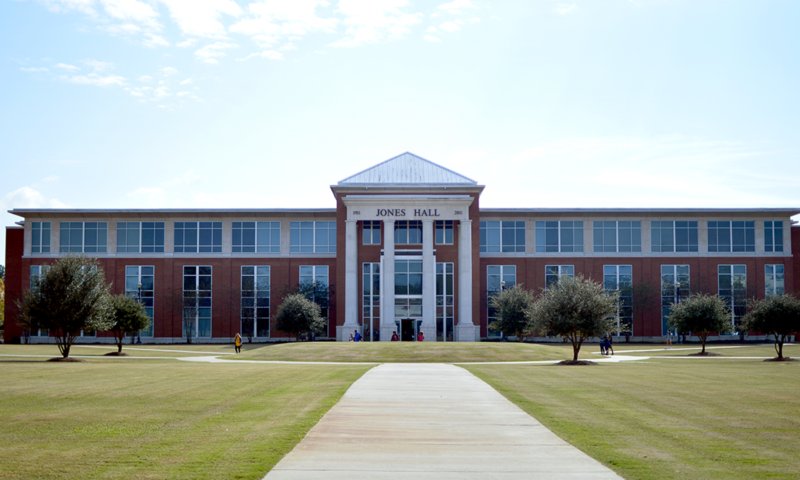 The generosity of the thousands of members who voluntarily pay a few cents more on their electric bill has conceivably changed the lives of more than one-thousand students over the years like Tanner Boleware. He is a graduate of Presbyterian Christian High School who has plans to be a civil engineer and transfer to Mississippi State after graduating from Jones College. He is also working to help pay for college and said his parents are thrilled to have scholarships to help financially. Over the last six years, 261-JC students received a financial boost from the support of the 49,000 meters served by PRVEPA. When the program was established in 2012, PRVEPA Manager of Members Services, Kurt Brautigam said they really hoped it would be beneficial and have some success. However, it turned out to be even better than they expected. Money collected for the scholarship program is deposited in an account overseen by the Greater Pine Belt Community Foundation. Ten percent of each year’s funds are set aside in an endowed fund for future use. The remaining money is divided equally between the number of eligible applicants. The only requirement to receive a PRVEPA scholarship is to be a current participating association member in the Round Up program. All of the scholarship funds collected after August 1, each year go towards the next year’s scholarships. Applications for 2019 scholarships are available now.